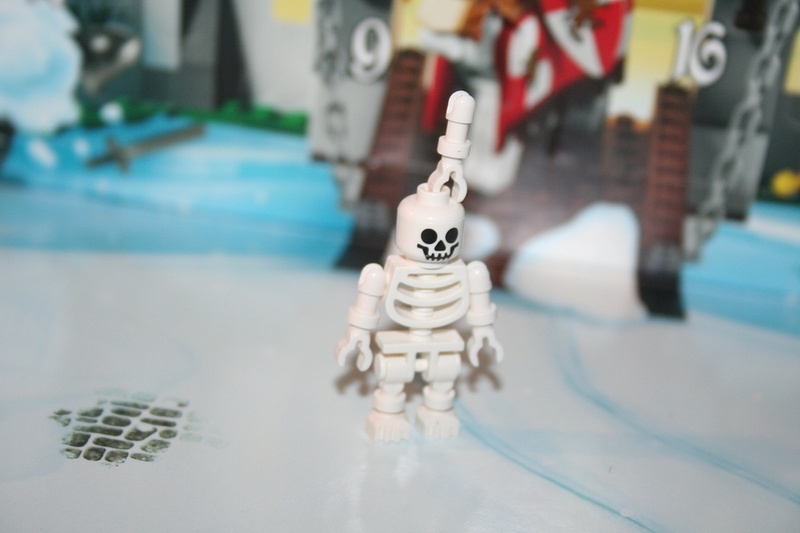 Lego Advent Calendar - Day 10, Skeleton! 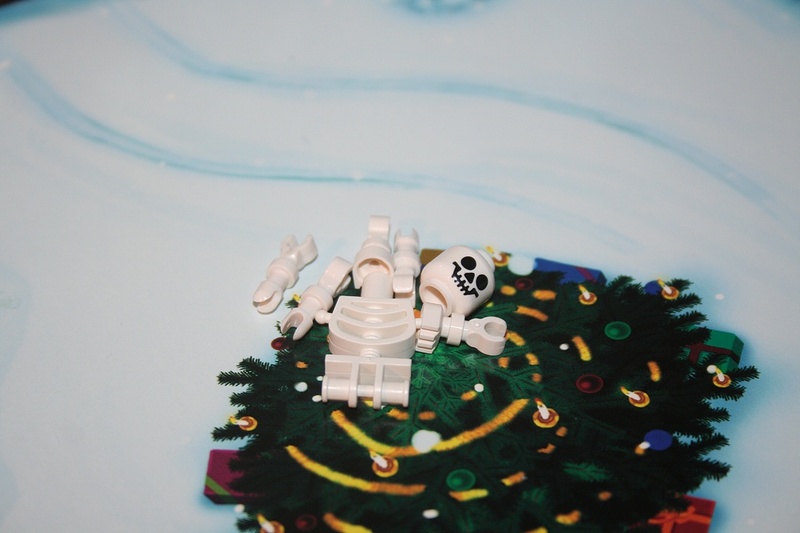 It was sort of a surprise to open up the Lego Advent Calendar day 10 window after midnight last night and find the constituent parts of a Lego skeleton within! It does make sense in the context of the Kingdoms theme, and overall is a very cool addition to the set, and to the holiday festivities! You may recognize this figure from the Indiana Jones Temple Escape set, at least it's pretty similar, I haven't done a point by point comparison but I'm sure there are Lego fan sites that have it well covered. The arms connect with a cool loose swivel joint, that gives him flopping-action and makes for a convincing shambling dead impression. Now I wonder what the next few days hold in store to contribute to the new dungeon-esque theme that has developed! And yes, it came with an extra arm, so now has a jaunty hat. The spare parts in these sets are always sort of funny - never really enough to do much with, but I suppose if you gathered them all up over the years you'd have quite a random assortment!